Wake Forest Health System serves as the premier health system in the region, with specific centers of excellence recognized as national and international care destinations. 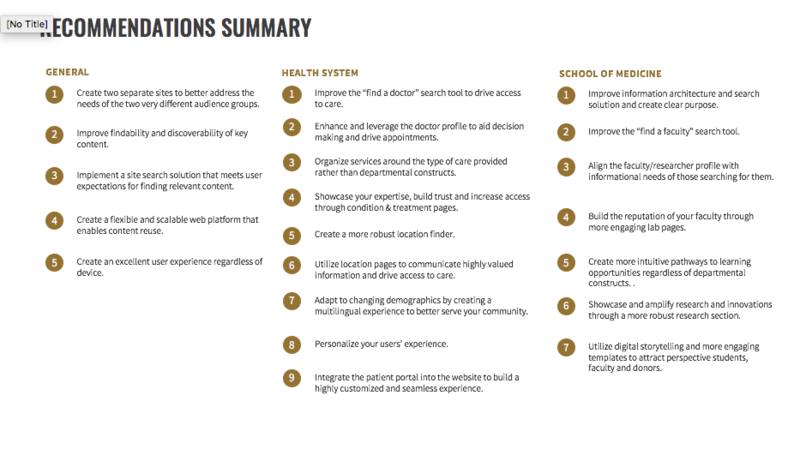 Wake Forest partnered with EPAM to reimagine their digital experience. 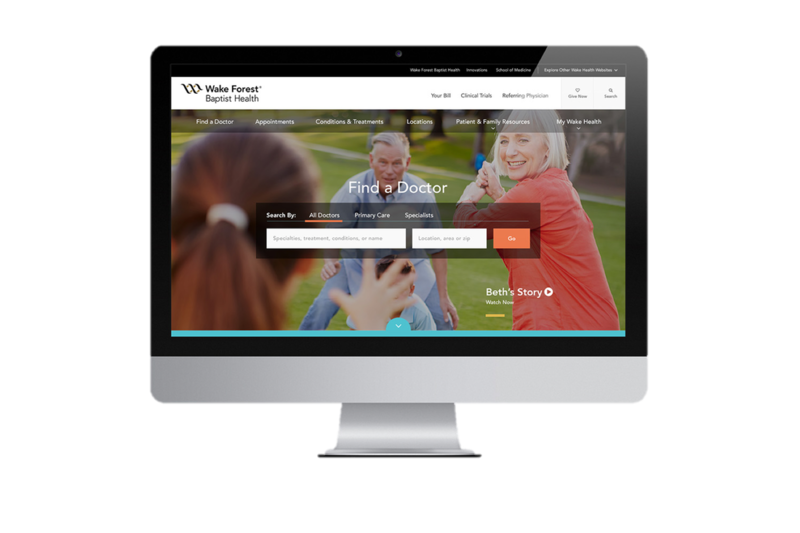 Their goal was to transform Wake Forest Baptist Medical Center’s website into an engaging, dynamic tool that drives access, improves health and amplifies the WFBMC brand. The Wake Forest Medical System and school wanted to enhancing their patient experience through improved online transaction capabilities, enhance access for patients and demonstrate service excellence. By understanding the audiences and their goals, we can enhance the digital touch points to enable the organization to both expand their audience reach, and the level at which they engage with their existing constituents. In order to do this we conducted deep user research including contextual inquiry, interviews and surveys. The architecture and core restructuring of the content is important as it has powerful influences on the brand perception, usability, user satisfaction and SEO performance. To do this we assessed the site content and structures to find areas for improvement. The omni-channel online experience must render across all devices, channels and OS flavors, must be integrated with the tools and behaviors of social media, and finally, the platform must expose data and analytics with real-time, actionable insights. We created journey maps for each persona that used the current website. We created current state journey maps to better understand the opportunities that existed. We created guiding principles and recommendations to meet the needs of the business and users. We separated the content to create two distinct sites in order to pull forward important information that was buried because the site was trying to serve two distinct audiences. For the medical system we wanted the key tasks to be exposed in the navigation such as finding a doctor and understanding diseases and treatments. We created a mega menu structure for deep linking and getting users to their destinations more quickly. It enabled us to provide categorization to break up options and decrease the number of choices that need to be scanned at the top level. We provided quick links to direct users to information that is helpful during urgent situations and exposed frequently used information. 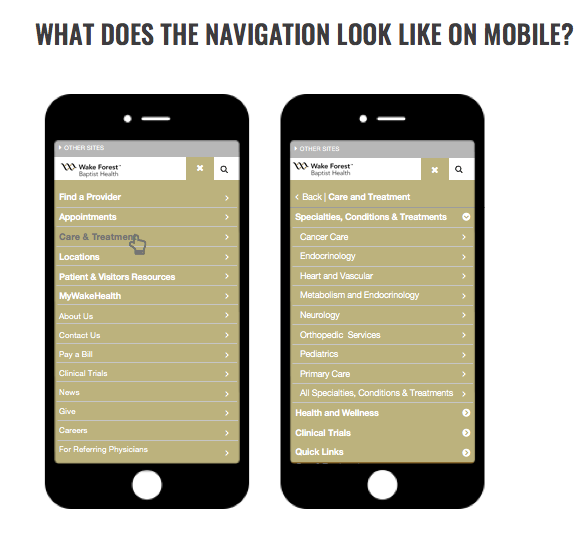 One of the biggest improvements was ensuring that the main site search and various contextual searches such as find a doctor were easy to use and used the language of the user. To do this, we needed to create a robust tagging taxonomy that allowed various tags to be applied to content that would help surface the right results within search. 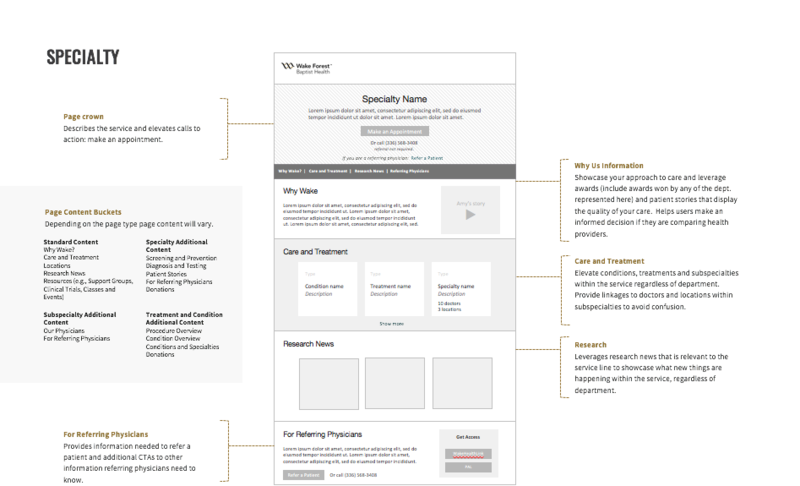 We created a responsive framework that allows users to find the information they need when they need it. We optimized important search functionality that meets user expectations for finding relevant content and helped them quickly get access to care. 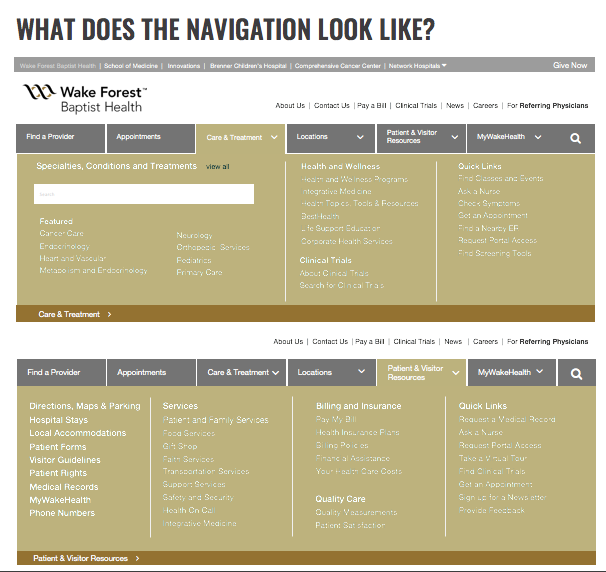 We created multiple entry points to services that accommodate the different ways users think about care. We showcased engaging content that was relevant to where users were within their health journey. We improved the findability and discoverability of key content. We iteratively tested the prototype to find areas for improvements prior to build.